After you buy the plugin, you should receive an email receipt from Nose Graze. 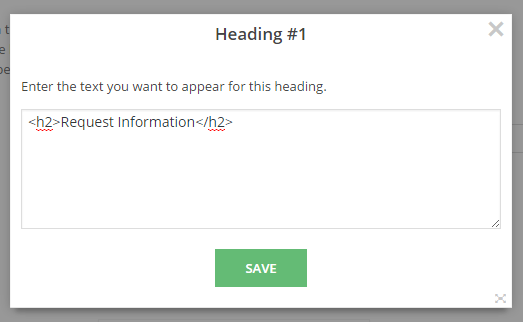 This email will contain a link to download a .zip file containing the plugin. Once you have the zubb-review-request.zip file downloaded, login to your WordPress site. The settings for the Review Request add-on are located in Ultimate BB » Review Requests. This is where you can configure the form fields and other settings. The first thing you should do is decide which fields you want to appear on your submission form. You can do this by configuring the settings in Ultimate BB » Review Requests. There's a drag and drop interface for enabling and disabling form fields. The plugin adds a new tab to your admin panel called Review Requests. All entries through the form get sent to this page. You can edit the requests like you would a post. There is a new box for all the request information. You'll see the requester's name, contact email, and other details. There's a section for "your tools" where you can assign a reviewer to this book (great for blogs with multiple reviewers), you can copy the book to a new post draft, or you can email the requester. The UBB book information is also present on this page. This includes all the book information that the submitter provided. In the "Your Tools" section you have the option of copying the book to a new post draft. 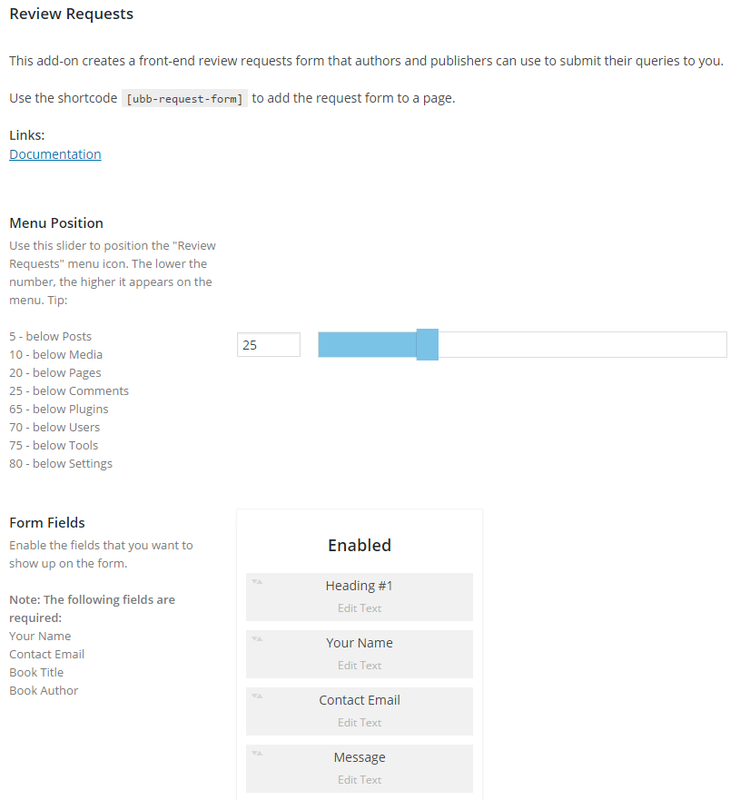 This will create a new post draft for you and will insert all the book information from the request into the Ultimate Book Blogger fields. Version 2.1.6 and higher has added extra tools and features to help with GDPR compliance. Review requests store names and email addresses in your database, which falls under storing personal information under GDPR. If you process an erasure request for a user then requests are not deleted, but they are anonymized. This means the user's name, email address, and review request text will be removed, but the actual request entry will remain available. The request will no longer contain personal information, making it compliant with GDPR.